Two things have really given me the feels this week. I’ve been really introspective lately. First was my car accident. I’m incredibly grateful that I made it through such a wacky ordeal without even so much as being sore. The second was the Parks and Recreation series finale. Without going into too much detail (or giving away plot spoilers), both the episode and the entire show is about a group of people who like each other and want to do good things for the sake of doing good things. The finale made me weepy, and it also made me think a lot about my impact on people–and the world–around me. I guess what I’m getting at is that if you want the world to be a better place, you can’t wait for others to do it. If you see something that needs to be done, do it. If it matters enough to get done, then it matters enough to get done right now. So many things happen that we can’t influence in any way, so why are we not taking charge and shaping those things we can influence? If that’s saying hello to someone and making them smile and not feel alone, then smile at them. If that’s running a few miles and making yourself feel accomplished, then go run. If it’s donating time or money to charity, calling an old friend to catch up, or even just listening when someone you care about tells you they’ve had a rough day. Those small acts change the world in almost imperceptible ways. Not everything has to be a giant change. Most things won’t be. Most things can’t be. However, simply being mindful of the world around you is enough to change it for the better.There are a lot of things that are broken in this world, and even more things that aren’t. 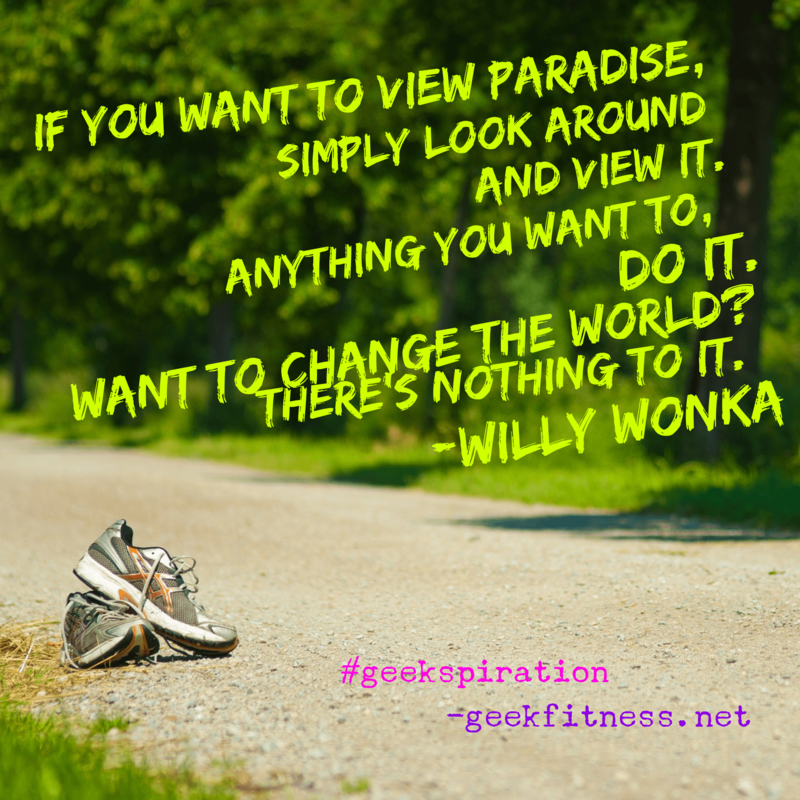 Find the good things, latch on to them, and do your best to help others see that same wonder in the world. Take the time out of your incredibly busy day to realize what good and amazing things you have in your life, or how you can help someone else. Excellent post! And I do agree! We just gotta put ourselves out there and make those changes! And yes, PaR finale was great!